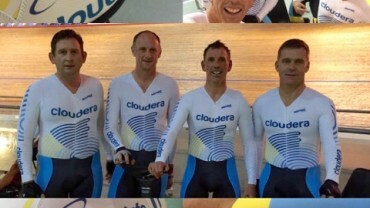 Jason White (Racing Cyclist Ambassador) does it again ! 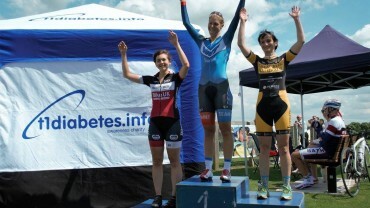 with yet another Elite win at the VC Venta Summer Criterium. 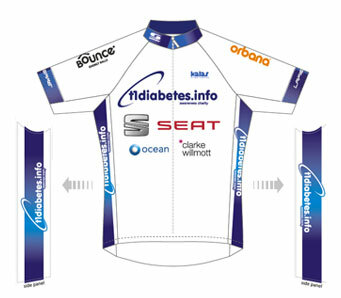 This has given the new t1diabetes.info Title Sponsor “Seat Cars” their first win in the Teams brand new 2015 kit ! With the rain gone the Elite 1/2 race set off for 60 mins and 5 laps. Joe Andrews (Eden Veranda RT) was the first solo rider to try to get away. As Joe started to build some gap he was joined by Max Webber (Pedal Heaven RT) and Jason White before slipping back to the fast chasing bunch led out by the three riders from Cycleworks Ben Marks, Harry Veale and Mike Smith. 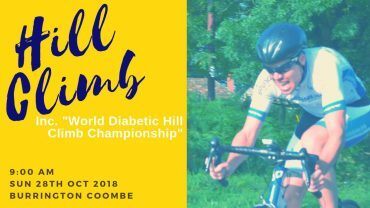 Max and Jason worked hard to get away and their gap did start to go up to 10secs over Ben Marks and Andy Shackel (Team Wiggle), and the two chasers had now a clear 20secs gap over the remainder of a chasing group. 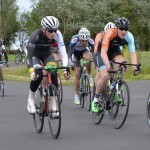 It took 42mins of racing before the four riders joined up as the gap slowly came down and the bunch was now at 42secs. In the next seven minutes the leaders worked hard together and managed to lap the chasing group and then went on to put more time into them. The front of the race now firmly established they settled in for the bell lap. As the four leaders turned the last corner Max started to drop back leaving three to contest the sprint with Jason just getting it ahead of Andy with Ben taking third.